Leclanche Cell Pot is moulded in Polypropylene and is used for making Leclanche Cell. This Pot has very good contact clarity & excellent chemical resistance. 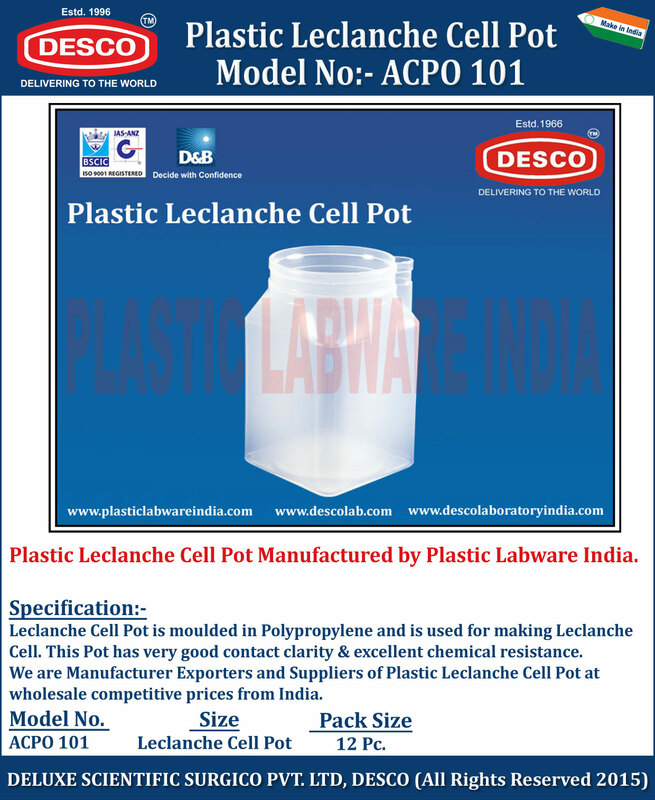 We are Manufacturer Exporters and Suppliers of Plastic Leclanche Cell Pot at wholesale competitive prices from India. ACPO 101 Leclanche Cell Pot 12 Pc.